Perfect for enjoying next to a warm fire. Some people might think smoothies are best suited for warm weather, but we disagree. Smoothies are a great source of nutrition and are beneficial year-round. Filled with nutritious pumpkin and wintery spices, this smoothie will give you a cozy feeling while drinking it in front of a warm fire. The spices are really what gives this smoothie its great winter-time flavor. The last time I made this, someone told me it tasted like "Christmas in a glass". 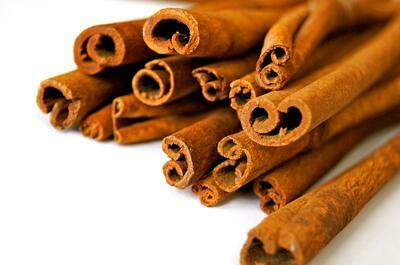 If you're a cinnamon fan like me, add a little more - maybe 1/2 a teaspoon. Remember that fresh ginger has a more intense flavor compared to powdered ginger, so be careful with it. 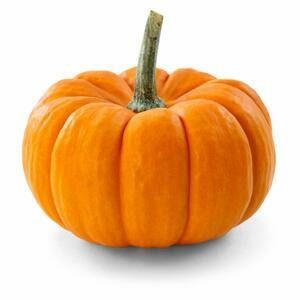 Most recipes call for canned pumpkin, but make sure not to mistake it for canned pumpkin pie filling. If you grow your own pumpkins like we do, it’s super easy to make pumpkin puree. Just slice up a pumpkin, remove all the seeds and stringy bits, and put it in the oven at 165 C for about 45 minutes. The pumpkin comes out soft and easy-to-peel. You can freeze the pumpkin for later. We’ve tried this recipe with raw pumpkin as well. You’ll need a strong blender to do this, and the pumpkin flavor will be less intense, but you’ll be sure to keep all the nutrients intact. Add all the ingredients to the blender in the order listed. Blend on high until it’s completely smooth. 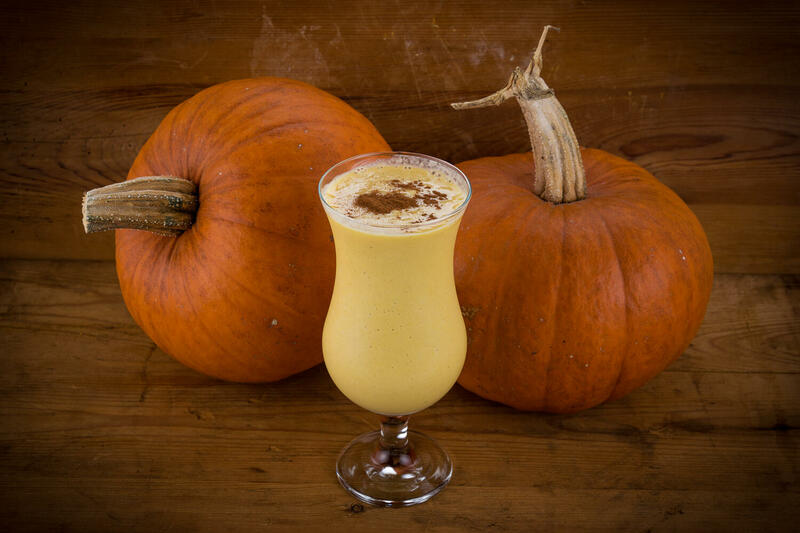 The time will depend on the strength of your blender, and it will take longer with fresh pumpkins. We tried blending it in a vacuum to minimize oxidation using the Vidia vacuum blender, and the results were smooth and creamy. Pour it into a glass and garnish it with a cinnamon stick if you’d like.